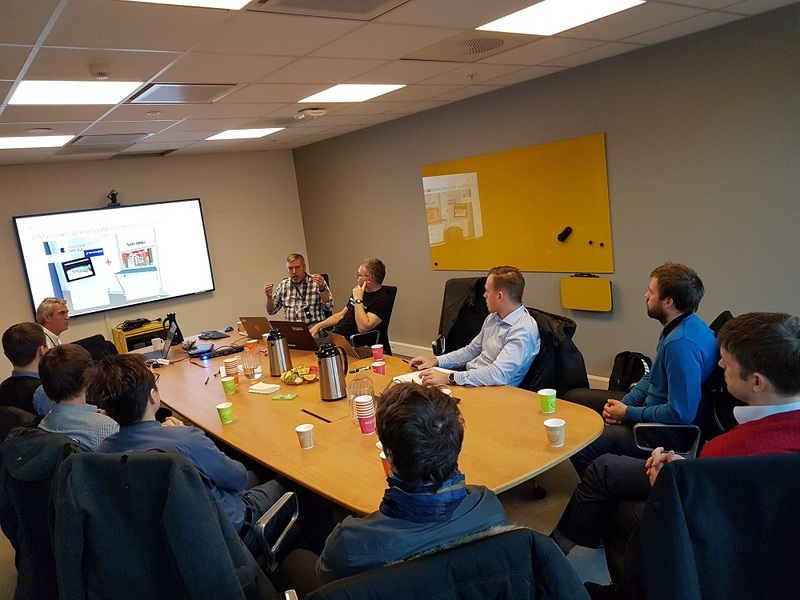 Novarc’s team and Norwegian opinion leaders in digitalisation of construction sector shared experience and discussed developments and perspectives of the built environment. Innovation as per examples provided by Statsbygg, Cobuilder, Catenda and Tønsberg hospital contribute to the capacity for application of digital data in Europe. 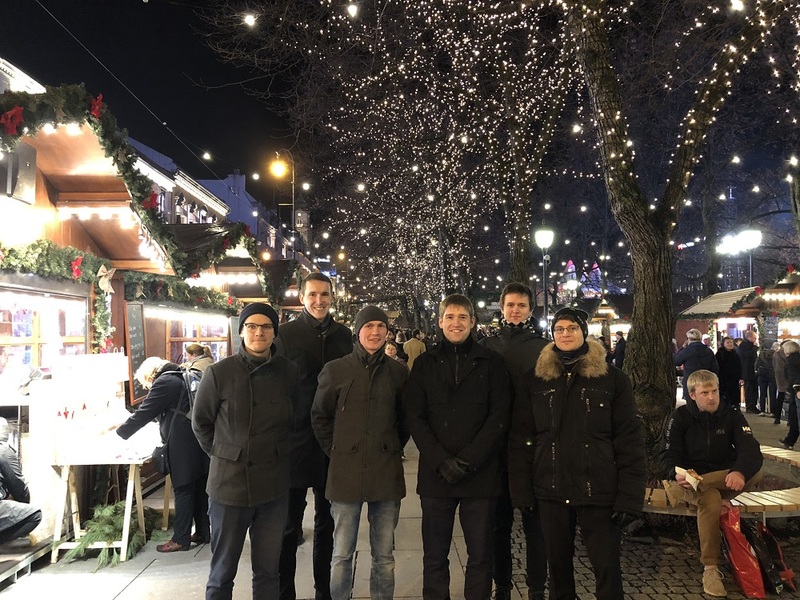 In December a team on ten from Novarc spent two days in Norway to meet opinion leaders in digitalisation of construction. Among the topics discussed were the data required for the owner’s digital twin, the impact of digitalisation of teamwork in the construction process as well as integration of construction material industry in the common data world. Facilitation of construction activities and property operation through digitalisation is changing the whole business and future-oriented companies see an opportunity of benefiting from the building data. 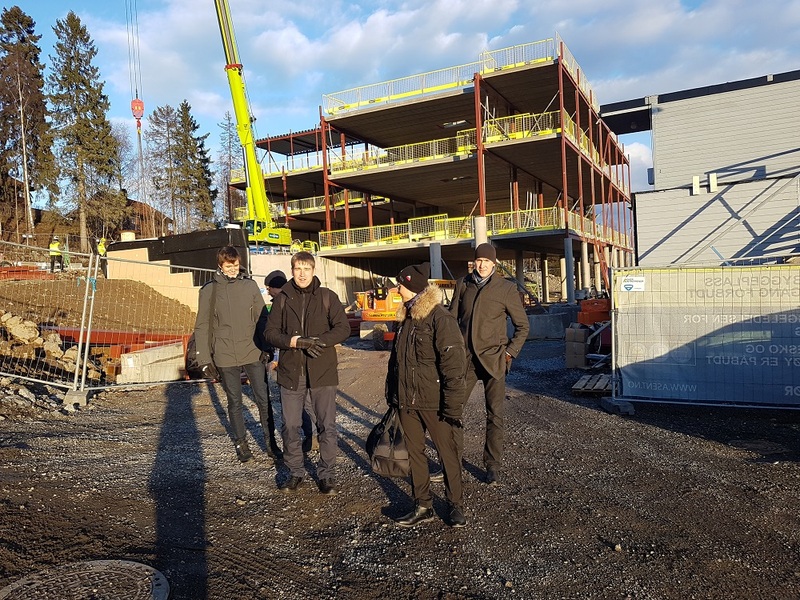 Statsbygg, the owner, client and operator of the biggest Norwegian construction projects, is a leading modern property manager who is continually changing tomorrow’s construction market. The use of digital building data allows its owner to cut expenses by 25% over the life cycle. This sets an extra focus on the financial value of the smart decisions made in the initial phase of the project. For better structure of the data, a new BIM manual (V2.0) is underway. This will create the basis for model-based procurement and contracts. Data processing goals include among other things efficient room utilisation, flexibility of alterations and environmentally friendly construction, the latter a special focus in Nordic countries. A major role in the process is the selection of procurement type and its impact on the result. Value-based criteria enable to propose elaborated solutions leading further to reasonable expenses. The common approach is to decrease the cost component and increase the share of provided value. 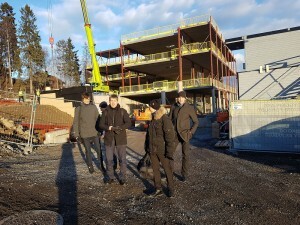 The Tønsberg hospital project was planned as IPD („Integrated Project Delivery“) from scratch. The client, contractor and designer set goals for the building and costs after completion of the preliminary design. This type of contract motivated the whole team to collaboration and collective interest in the project. The savings gained by applying best solutions and simultaneously minimising the construction cost are shared between the involved parties. It must be admitted that the process may not necessarily lead to minimising future operating costs as the focus is on decreasing the construction cost through functionality of the buildings. However, the client is happy about the choice of the contract conditions that bring a saving of 8% and keeps projects on a schedule. The data of the digital twin is relevant throughout the supply chain. One part of it is the construction material industry that needs a comparable system of requirements and standards. Cobuilder is focused on comparability of valid standards and their digitalisation. From their solutions (or analogues), major impact (new marketing and sales concept) is expected to the construction materials’ industry. Processes are addressed by Catenda AS, providing an international project management platform. Process management is facilitated by cloud-based approach and smart data visualisation. The construction sector is undergoing major changes. Novarc is there to apply innovation. Yesterday’s approach will not be efficient tomorrow. We welcome innovation, adaptation, flexibility and are open to new opportunities in order to create the best-built environment.